Welcome to September, the new-year month for all students and academics, and for those who celebrate Rosh Hoshanna and Yon Kippur. Time to don the straw hats and white dresses one last time before Labor Day. And, of course, time to check the literary calendar. 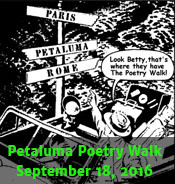 It always feels like the start of a new writing year when the Petaluma Poetry Walk rolls around. More about that below. First, Jo-Anne and I send our hearty congratulations to local authors who have had their work published recently in books or journals. You can discover more on our Sonoma County in Print page (https://socolitupdate.com/sonoma-county-in-print). Special thanks to Ed Coletti, who keeps our announcements of local writers publishing in literary journals up to date. A tip of the hat to Charles Markee whose middle grade novel Maria’s Beads just took 2nd place as a junior fiction category book in the prestigious Colorado Independent Publisher’s Association (CIPA), 22nd annual EVVY literary contest. Another hats-off to the Sitting Room, recently featured in the Argus Courier. If you missed it, here’s the link: http://www.petaluma360.com/entertainment/6004386-181/penngroves-sitting-room-stands-up?artslide=0. 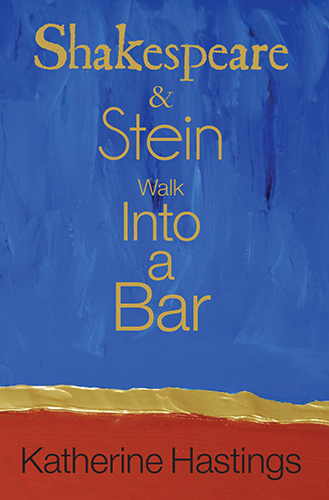 We also send our congratulations to Sonoma County poet laureate emerita Katherine Hastings whose third collection, Shakespeare & Stein Walk Into a Bar (Spuyten Duyvil, NYC) will debut in a book launch at the Sebastopol Center for the Arts. She will be joined by New York poet Lee Slonimsky reading from Consulting with the Swifts — New & Selected Poems and Sonoma County poet Sandra Anfang, author of Looking Glass Heart. The poets will be introduced by Sonoma County poet laureate Iris Jamahl Dunkle. All this happens on Saturday, September 24, 7:00 p.m.
On a sad note, Sonoma County has lost one of its own, poet, short story writer, and teacher Carol Wade Lundberg. Carol taught English and creative writing at Santa Rosa Junior College and in private workshops. She was a talented writer, a kind and thoughtful friend, and an inspiring presence in our literary community. She passed away on August 11 as the Perseid meteors were lighting up the sky. Originally from Wisconsin, Carol lived in Penngrove and authored several books of poetry including Secret Life (1993), Heresies of Love (2000), and most recently, Inciting Riot (2013). One of Carol’s award-winning poems is featured at the end of this post. Scroll down to read that. In honor of Carol’s life and work, the monthly Rivertown Poets Reading Series in Petaluma will be dedicated to Carol. Series director Sandra Anfang invites us to “bring a poem of Carol’s for open mic, or say a few words about the gifts she leaves behind.” After the open mic, enjoy featured readings by Greg Mahrer and Kathleen Winter. The reading is on Monday, September 5th, 6:15 p.m. at the Aqus Cafe,189 H Street in Petaluma. Sebastopol poet Larry Robinson teams up with fellow poets Doug Von Koss, Barry and Maya Spector, Kay Crista, and Carol Bower Foote for Rumi’s Caravan on Saturday, September 10. Along with a team of musicians, these presenters create “A Poetic Converstion,” by reciting inspirational verse from around the world. Location: 390 27th Street, Oakland, $15 advance/$25 at the door, doors open 6:30 p.m., show 7:00. Details at www.rumiscaravan.com. 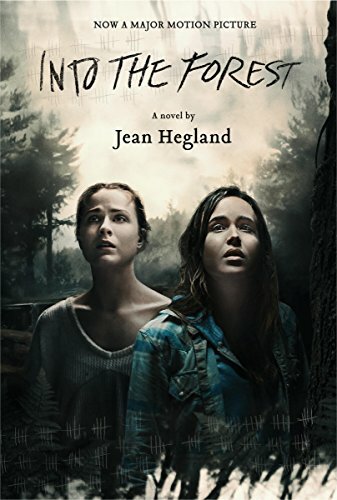 Starting on Friday, September 16 and concluding on Thursday, September 22, there will be daily screenings of Patricia Rozema’s film adaptation of Jean Hegland’s novel, Into the Forest, at the Rialto Cinema, Sebastapol. Q&A conversations with Jean after the Saturday (9/17) 7:10 p.m. and Sunday (9/18) 1:15 p.m. shows. 21st Annual Watershed Environmental Poetry Festival features will be on Saturday, October 1, at Civic Center Park in downtown Berkeley, one block west from Berkeley BART. Readers include Jane Hirshfield, Alison Hawthorne Deming, Juliana Spahr, Pireeni Sundaralingam, Wes “Scoop” Nisker, and more; California Poets in the Schools students read led by poet-teachers John Oliver Simon and Maureen Hurley; more readings by poet/biologist Maya Khosla, poet Judy Halebsky, former Sonoma County Poet Laureates Katherine Hastings and Bill Vartnaw, and Nevada City eco-poet Chris Olander; We Are Nature Open Mic, (to read, enter lottery on site at noon); with hosts Richard Silberg and Kirk Lumpkin and music by The Barry Finnerty Trio. In June of 2017, I will lead a two-week literary travel and writing retreat in Tuscany. We’ll explore the city of Florence, using the art, architecture, landscape, and literary history of the city as an inspiration for writing. I plan to include day trips to Fiesole, Siena, San Gimignano, Assisi, as well as an overnight trip to Ravenna. Most days will begin with a writing exercise or will include plein-air writing out in the Tuscan landscape. Besides writing, travelers may choose from among a variety of activities: bike riding in Chianti, musical concerts, and a 3-day pass to the museums and galleries of Florence.